In Australia, over half a million people have a diagnosed food allergy. We have one of the highest rates of food allergies with an astounding 1 in 10 babies born developing food allergies. The medical research into this area is promising, but currently our best defence to help protect people with allergies is through raise community awareness and understanding. As a Nurse, a First Aid Trainer and a Mother of a child with multiple food allergies and anaphylaxis, allergy education is something that I am passionate about. In today’s world, the word allergy is fairly commonplace. However, not many of us fully understand what allergies are. Let’s look at the “what” of allergies a little deeper to help us understand when, and how to treat allergies and anaphylaxis…. An allergy occurs when the body’s immune system reacts to a substance that for other people is harmless. This substance is called an allergen and is what triggers the allergic reaction. You can be allergic to many things and ANY food. But 90% of food allergies are caused by dairy, egg, peanut, tree-nuts, soy, wheat, fish, sesame, lupin and shellfish. Allergies can be diagnosed at any age. Not all allergies are severe (anaphylaxis) and many children will grow out of allergies. However, nut, sesame, fish and shellfish allergies are more likely to be lifelong. As mentioned an allergic reaction occurs when a person is exposed to their allergen (what they are allergic too). This exposure could be ingestion (eating), touch, inhalation (e.g. pollens) or injection such as a bee-sting or medication. Once a person has been exposed to their allergens they may develop symptoms of an allergic reaction. These symptoms may differ with each exposure (e.g. how much, and how processed it is) and with each allergen. Symptoms differ between a mild/moderate allergic reaction and anaphylaxis (severe/life threatening). Currently the best defence and management for allergies is risk management and avoidance of the allergen in addition to raising community awareness. Generally speaking, a mild/moderate reaction involves the skin and stomach (except in an insect allergy see below) whereas a life threatening anaphylactic reaction may involve the skin and stomach but always involves the respiratory system (breathing/airway) and/or the cardiovascular system (heart and blood vessels). EpiPen, don’t delay! What you need to know! The majority of the mild/moderate symptoms, (except abdominal symptoms) all occur on the outside of the body and involve swelling, itching and redness. These symptoms are all controlled by a chemical released called histamine. The vomiting is the body’s very clever way of getting rid of an allergen that may have been ingested. Following the action plan we can see that the important steps in a mild/moderate reaction are to remove the allergen, stay with the person, administer any anti-histamine prescribed and locate their EpiPen in case the symptoms worsen. In contrast anaphylaxis symptoms involve the heart and lungs/airways. 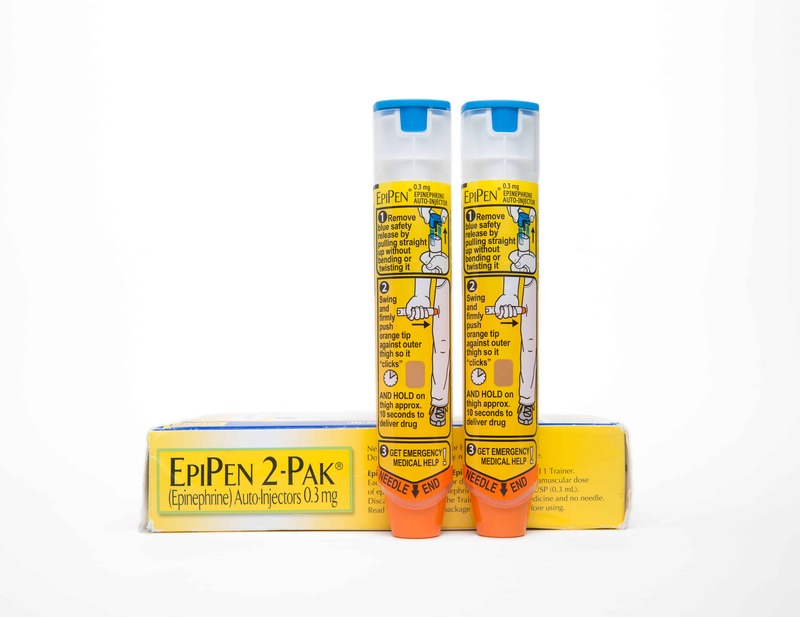 Both are essential for life and so any symptoms of anaphylaxis, even a simple cough, in the context of a possible exposure to an allergen should always be treated IMMEDIATELY with adrenaline (EpiPen). A simple way of thinking about it is… Anaphylaxis is controlled by a “party of chemicals” that take over the body. Just like any good party it can get out of hand easily as every chemical brings along a chemical “friend”. The key to controlling an “anaphylaxis party” is to stop it at the first sign no matter how subtle. The chemicals involved in anaphylaxis are NOT histamine and so a simple anti-histamine will not work in anaphylaxis. The only medication that will work on anaphylactic chemicals, is adrenaline (an EpiPen). This MUST be given without delay before the cascade of anaphylaxis chemicals take over, dropping a person’s blood pressure, impacting their breathing and making anaphylaxis very difficult to treat. Here is a copy of an anaphylaxis action plan which goes through the symptoms and steps. Give the EpiPen (firm fist, blue to the sky, orange to the thigh, hold for a full 3 secs, then needle out and a needle sheath covers the needle automatically). Note the new time of 3 secs for administration and the removal of the massage step. Call the ambulance. Everyone who has had an EpiPen must be monitored in hospital even if a complete recovery. There is a chance of a rebound reaction when the EpiPen wears off. A further EpiPen maybe needed after 5 mins if symptoms still present. Remember an EpiPen is unlikely to do any harm even if it was not anaphylaxis so if in doubt give the EpiPen! People with allergies often develop very good body awareness at an early age. Sometimes before they can put words to what is happening. Trust people with allergies when they think they are reacting, DO NOT force them to eat food that they say make them feel funny. We gave my son the words his “alarm clock” as he often describes a tingle in his mouth or a mouth feeling. He now says “mum my alarm clock is going off”. That combined with us watching his reactions during food challenges in hospital has made us confident that he is very aware of a reaction before we can measure it with hives or anything more sinister. Encourage that very precious knowledge of their body and don’t question it. Help people with allergies trust their instinct, it may save them. 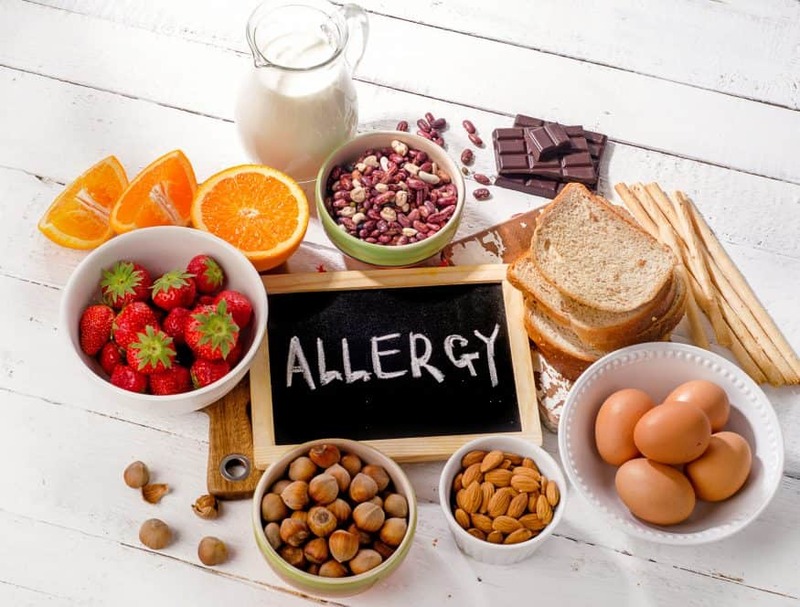 Even if you or your child do not have allergies, with 1 in 10 people developing allergies, chances are at some point you or your family will know someone diagnosed with food allergies. 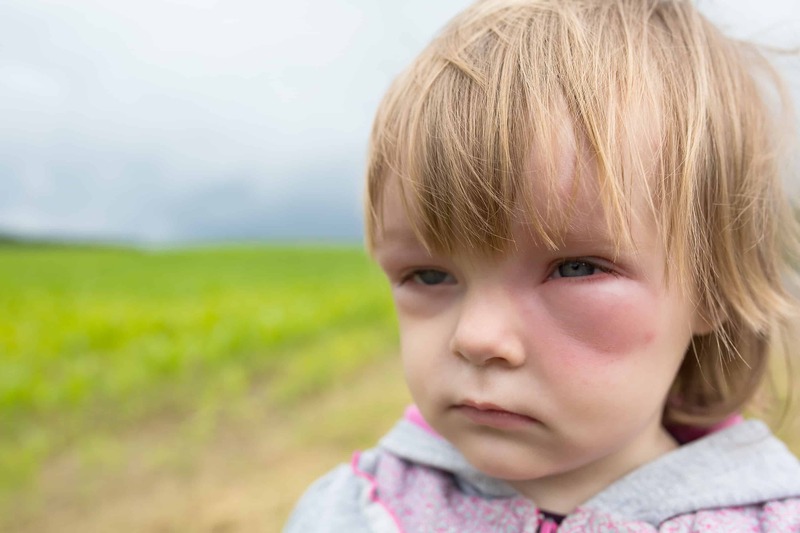 This basic knowledge of allergies and anaphylaxis lays the foundation to help you better understand the needs of that person and how to help them in an emergency. My next community parent first aid course is on Sunday 27 May 2018. Click on the link below to book now! More details can be found on my website or Facebook page.